It’s believed that Super Lig outfit Galatasaray SK have supposedly had an initial loan offer for Shkodran Mustafi rebuffed by Arsenal as it’s since emerged that the north-Londoners – via Turkish outlet Fanatik – will only allow the German international to leave the Emirates on a permanent basis and have subsequently slapped a £22.3m price tag on the centre-back’s head. 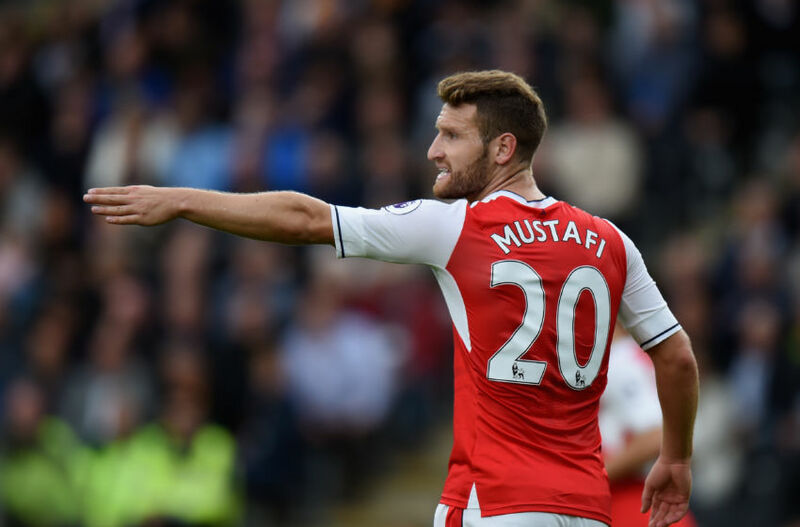 Mustafi, 26, could face an uphill battle to claim a starting spot in Unai Emery’s matchday fold next term after the arrival of Greek enforcer Sokratis Papastaphopoulos from Borussia Dortmund, and as the club already has extensive plans to progress the likes of Rob Holding, Calum Chambers and Konstantinos Mavropanos in the coming schedule, the former Valencia CF defender could fall even further down the pecking order. In order to make a mark of his own, it’s said that Emery was handed a £70m budget to invest in new recruits over the course of the summer transfer window, although having lured Bernd Leno, Lucas Torreira and Sokratis, of course, amongst others, the Spanish tactician will presumably have to raise further funds if he’s going to continue to bolster his set-up before the start of the 2018-19 Premier League campaign. The faltering centre-half has had a turbulent spell at Arsenal since jumping from Los Murciélagos to his current surroundings in 2016. Inconsistencies have crept into his game and his fundemetal decision making has also been thrown under the microscope on various occasions due to an almost incriminating lack of care and attention when executing his defensive responsibilities both on and off the ball. The English transfer window terminates on August 9th, meaning that Emery only has a very slim time frame to get surplus players out of the door, and if Galatasaray are willing to stump up the required fee to satisfy Arsenal’s demands, Mustafi could be tempted by a switch to the Türk Telekom Stadium as Cimbom will indeed compete in next season’s Champions League campaign. Share the post "Arsenal slap £22.3m price tag on German international’s head amid Turkish interest"